A new project launched Wednesday is giving LGBT-supportive Christians a public forum for to proclaim their love and acceptance for their their gay, lesbian, bisexual, and transgender friends and family members. The NALT (Not All Like That) Christians Project — inspired by Dan Savage’s “It Gets Better” project — is a joint project of advocacy group Truth Wins Out, a non-profit organization that counters religious extremism, and Christian author John Shore. 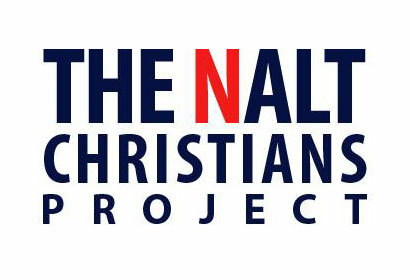 The NALT Christians Project will be an online platform to directly challenge the idea that anti-gay Christians represent all or even most of the Christian faithful. According to a statement by the project’s founders, progressive Christians frequently approach LGBT people to say high-profile fundamentalist Christians who dominate the airwaves do not speak for them, because they believe in equality for their LGBT brothers and sisters. Savage, an author and LGBT rights advocate, has dubbed these folks “NALT Christians,” because they often say that they are “not all like that,” meaning they are not anti-gay. Project co-founder and Truth Wins Out Associate Directoe Evan Hurst said NALT will also send a powerful message of encouragement to LGBT youth who are growing up in non-supportive environments. “This project is designed to reach people like myself when I was sixteen and growing up in a conservative religious community,” said Hurst. “”I wish I had known about the millions of loving Christians who take Jesus’ teachings seriously, and if this project can help keep LGBT youth from the spiritual turmoil of being convinced they are hell-bound simply for being who they are, then we’ve done our jobs,” said Hurst.